Simple scientific concepts that can be little tricky to explain, but we've tried our best. A burst is when something suddenly pops open, usually because the pressure inside builds up too high for the container holding it. 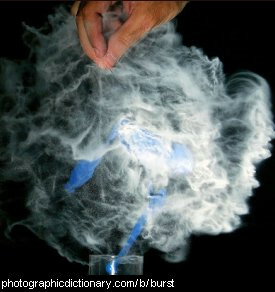 Bursting is used to describe new buds bursting into life, or fireworks bursting, or a bubble or balloon popping. 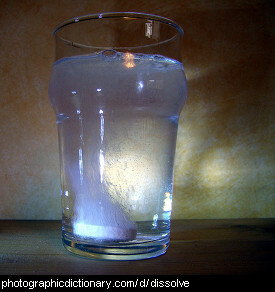 Condensation forms when water vapour hits a cool surface and turns back into water. You often see condensation on a cold drink bottle, or on the inside of your windows on a cold morning. 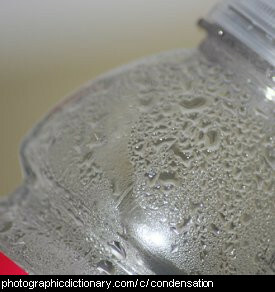 Condensation outside is often called dew. 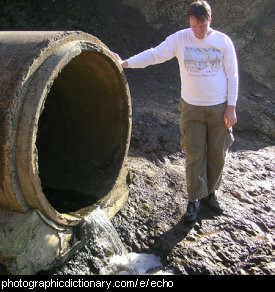 If you have two things that are the same size, and one weighs a lot more than the other, the heavy thing is more dense. 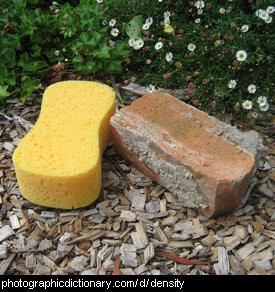 The sponge on the left in the picture is much, much lighter than the brick in the picture, but they are around the same size. The sponge has a lower density than the brick. Electricity is the flow of charged particles through a conducting material, usually copper. Electricity is used for a huge variety of things today, with virtually all modern devices powered by it. 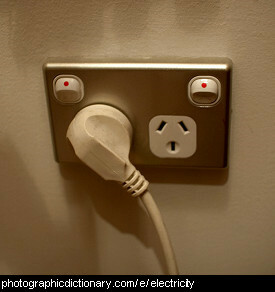 Electricity is used to make many common things around you work, such as your refrigerator, modern watches, computers and phones. Electricity can be stored inside a battery to be used later. 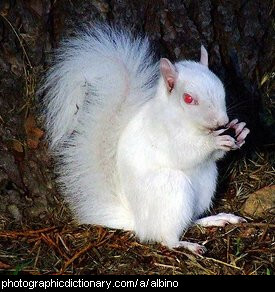 You may also be interested in static electricity or lightning, two other effects of electricity. 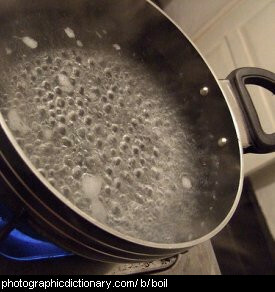 Evaporation is the process of a liquid slowly turning into a gas. You see evaporation in everyday life when you hang out washing (laundry) or something else wet to dry. Evaporation happens when the molecules in the liquid get enough energy - usually from sunlight - to break through the surface of the liquid and float away. 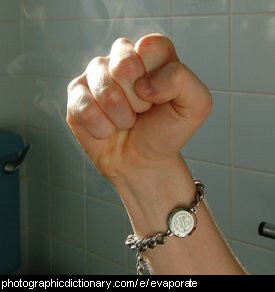 You can see the fist in the picture is steaming as the water from a hot shower evaporates away. When something explodes it suddenly gets bigger. Explosions usually make a loud noise and make a lot of heat. 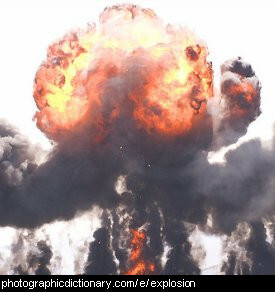 Popcorn popping is an example of a small explosion, and a bomb going off is an example of a large one. Large explosions can create so much force they can reduce buildings to rubble.